What’s Better Instagram Stories or Snapchat Stories? On the 2nd of August 2016 Instagram launched a new feature called Instagram Stories. This meant their users could now share a series of pictures and videos that would expire after 24 hours. They could even doodle on their posts and add text overlays before sharing. Groundbreaking! If you hadn’t heard of/used Snapchat in the past two years. The Facebook owned network had basically nicked a key feature from a rival app. And it’s not like they were trying to hide this fact. It was even confirmed by Instagram’s CEO who said “[Snapchat] deserve all the credit”. 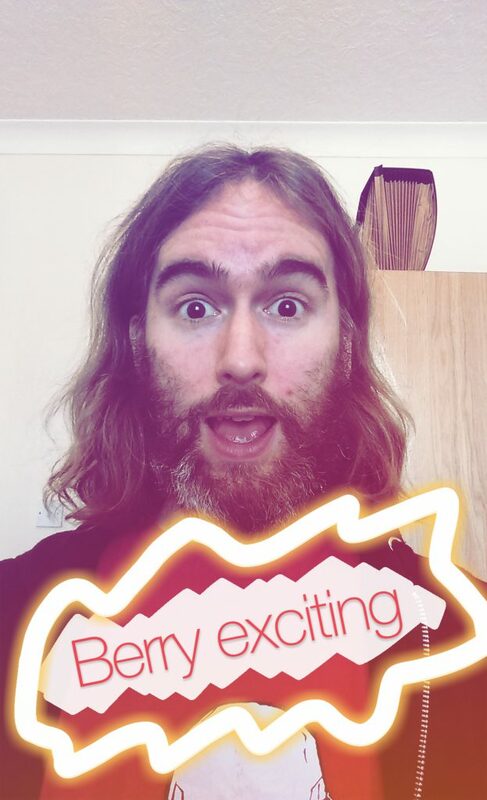 But are these Instagram Stories any good? Are they going to kill off Snapchat or just drive people to use a different app? 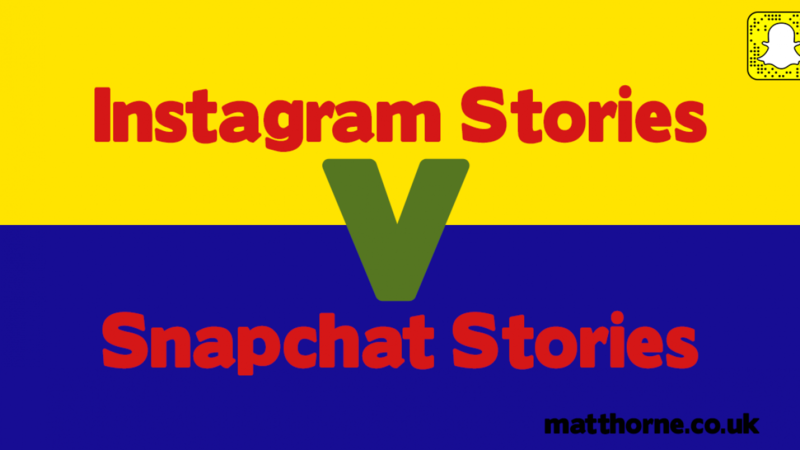 Considering Instagram Stories is a copy of Snapchat Stories, how do the two compare? And most importantly, which is best for keeping your audience’s attention? There’s only one way to find out – EXPERIMENT! But first, a quick look at how the two compare on the surface. Although Instagram have already admitted that their Instagram Stories is a copy of Snapchat stories, the two do have different features and tools. Here’s how they stack up, table style (by the way this isn’t an exhaustive list of features, but it’s the big ones that most people use and is correct at the time of publication). So not exactly the same, but what does it look like in practice? They say a picture is worth a thousand words, but when it comes to Snapchat they let you cram in an entire screenplay in one image thanks to all the extra stuff you can add on in the name of unashamed FUN. 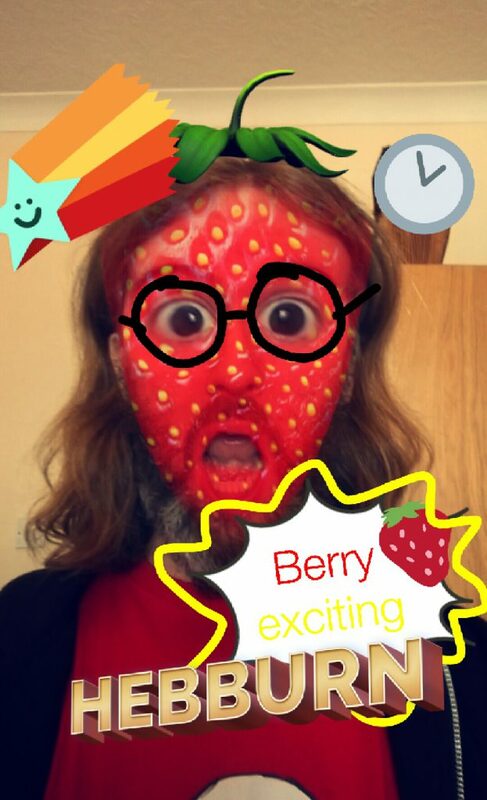 The one above has stickers, a strawberry face filter, geo-location filter, emoji stickers, text overlay and some pen doodles. When you look at Instagram, it’s a bit more sedate and laid back. Sure you can still have fun with some doodles (including a pretty cool neon pen) and text overlay but deep down they know Instagram users are too cool to get over excited and only have fun in an ironic sense. Each to their own and not necessarily a measure of which one is better. On with the experiment! To test if Instagram Stories was better than Snapchat Stories I used a simple experiment. I ran a variety of stories at the same time on both channels. I then recorded the key metrics for each one to compare and contrast. Unique views are useful in gaining an idea of retention and initial interest. However, Snapchat does not provide a follower count like Instagram. This means there is no way to judge what Snapchat’s base audience is and thus the level of follower engagement with each story. So with all that background, the only way I could think to provide a fair a comparison as possible between the two channels was on audience retention and number of replies to each story. “Enough of all this, what about the gosh darn results? Less of the dilly dally you hairy man.” I hear you say, in your heads. So here they are. In all, 9 stories were ran on both networks targeting the same kind of audience. A range of event coverage stories, information bursts and even audience participation requests. On all but one story Snapchat got more responses from the audience. It would appear that for the two metrics being measured here, Snapchat’s Stories beat Instagram Stories hard in to the ground. Is that because of all the extra stuff you can add to a picture? Maybes. However, it’s worth noting that Instagram Stories is new. It’s very much in an early adoption stage. As an add on feature to Instagram, it’s not the primary content posting method for the network. Whereas Snapchat Stories is one of the main features of Snapchat and is heavily used by most people on the network. I’m going to run the experiment again throughout October. In my own Instagram feed there are more and more people, including celebrities and brands, using the Stories feature. It could be as usage spreads, audience engagement increases. Only time will tell. In the meantime, if you don’t even know your Snapchats from your filters or your Instagram Stories from your doodle pen but want to make the most of this craze while the kids are still on it, get in touch.